One service provider states, “I’ll have to take a message.” The second says, “I’ll be happy to take a message.” By simply changing two words the second person sounds like they have a better service attitude. They didn’t have to work harder. They didn’t even need to be in a good mood. They just changed two words. That’s how easy it is to have a more impact in your customer communications. That phrase – plus 49 others – is what you’ll discover with Jeff Mowatt’s 50 Phrases that Pay ©. Instead of: You’re welcome. Use: My pleasure. Instead of: Let’s see if you’re interested. Use: Let’s see if there’s a fit. Rather than: Do you want to buy it? Use: What are your thoughts on it? Instead of: Please bear with us. Use: I appreciate your patience. Instead of: What do you want us to do? Instead use: What will work best for you? 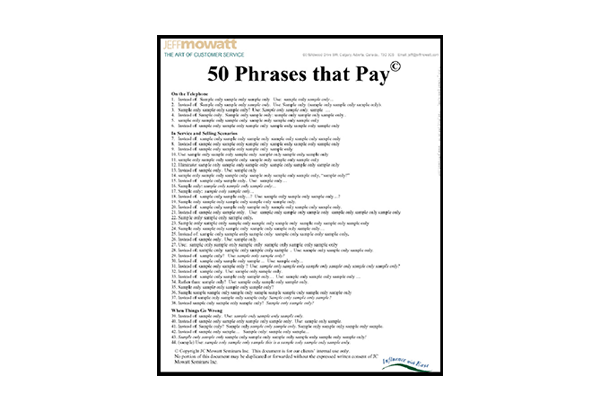 Your 50 Phrases that Pay © are displayed on a single page that you can post and easily refer to. 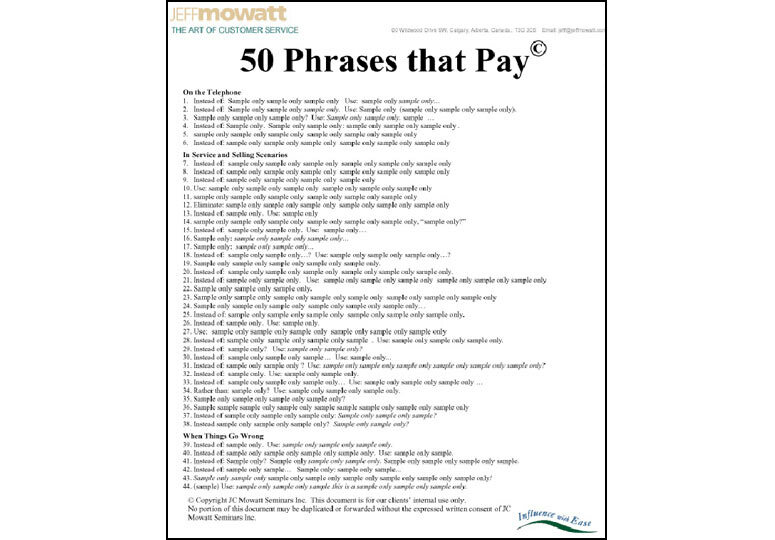 By using this tip sheet frequently, these phrases will become second nature and your customer communications will become more thoughtful – literally. 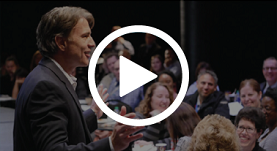 What other training tool gives you so many handy tips at a glance? Note: this is a copyright protected training tool. If you’d like to make copies for your team members, we ask that you pay a one-time $100 licensing fee. This is to be used for your internal training purposes only and may not be resold. Order now to receive this PDF document instantly! *The second option is for individual use with license to print copies for other internal team members. Bonus! You’ll save by combining this with Jeff’s other resources in the “I Want it All” Package Special. Details are at the top of your shopping cart when you click on the ordering button. You can also order by phone at 1-800-JMowatt (566-9288). Local in Calgary, Alberta, Canada at 403-244-9094. Fax 403-244-9814 or email us [email protected].